Before child abuse laws were created, animal abuse laws had to be used for first child abuse case. Taken from: "Case Shined First Light on Abuse of Children." “Mamma has been in the habit of whipping and beating me almost every day,” the little girl testified. “She used to whip me with a twisted whip — a rawhide. If the words sound depressingly familiar, it is because they could have come from any number of recent news accounts — or, for that matter, popular entertainment, like the recently opened movie "Precious," which depicts the emotional and sexual abuse of a Harlem girl. In fact, though, the quotation is from the 1874 case of Mary Ellen McCormack, below, a self-possessed 10-year-old who lived on West 41st Street, in the Hell’s Kitchen section of Manhattan. It was Mary Ellen who finally put a human face on child abuse — and prompted a reformers’ crusade to prevent it and to protect its victims, an effort that continues to this day. Tellingly, the case was brought by the American Society for the Prevention of Cruelty to Animals. In 1874, there were no laws protecting children from physical abuse from their parents. It was an era of “spare the rod and spoil the child,” and parents routinely meted out painful and damaging punishment without comment or penalty. Mary Ellen had been orphaned as a baby. Her father, Thomas Wilson, was a Union soldier who died in the Second Battle of Cold Harbor, in Virginia. Her mother, Frances, boarded the baby with a woman living on Mulberry Bend, on the Lower East Side, while working double shifts as a laundress at the St. Nicholas Hotel. This arrangement cost $2 a week, consuming her entire widow’s pension. When she lost her job, she could no longer afford to care for her daughter and was forced to send her to the city orphanage on Blackwells Island. A few years later, Mary Ellen was adopted by a Manhattan couple, Thomas and Mary McCormack. But Thomas died soon after the adoption, and his widow married Francis Connolly. Unhappy and overburdened, the adoptive mother took to physically abusing Mary Ellen. Sometime in late 1873, the severely battered and neglected child attracted the attention of her neighbors. They complained to the Department of Public Charities and Correction, which administered the city’s almshouse, workhouse, insane asylums, orphanages, jails and public hospitals. Even the hard-boiled investigator assigned to Mary Ellen’s case, Etta Angell Wheeler, was shocked and became inspired to do something. Frustrated by the lack of child-protection laws, Wheeler approached the A.S.P.C.A. It proved to be a shrewd move. Mary Ellen’s plight captured the imagination of the society’s founder, Henry Bergh, who saw the girl — like the horses he routinely saved from violent stable owners — as a vulnerable member of the animal kingdom needing the protection of the state. Bergh recruited a prominent lawyer, Elbridge Gerry (grandson of the politician who gave his name to gerrymandering), who took the case to the New York State Supreme Court. Applying a novel use of habeas corpus, Gerry argued there was good reason to believe that Mary Ellen would be subjected to irreparable harm unless she was removed from her home. Judge Abraham R. Lawrence ordered the child brought into the courtroom. Her heart-wrenching testimony was featured in The New York Times the next day, April 10, 1874, under the subheading "Inhuman Treatment of a Little Waif." Ms. Connolly was charged and found guilty of several counts of assault and battery. Mary Ellen never returned to her adoptive home, but her temporary placement in a home for delinquent teenagers was not much of an improvement. In a lifesaving act of kindness, Etta Wheeler, her mother and her sister volunteered to raise Mary Ellen in bucolic North Chili, N.Y., outside Rochester. At 24, Mary Ellen married Louis Schutt. The couple had two children of their own, along with three children of Schutt’s from a previous marriage, and Mary Ellen passed on her good fortune by adopting an orphan girl. By all accounts, she was a superb and caring mother. She died in 1956, at 92. Mary Ellen’s case led Bergh, Gerry and the philanthropist John D. Wright to found the New York Society for the Prevention of Cruelty to Children in December 1874. It was believed to be the first child protective agency in the world. In the years since, the society has helped rescue thousands of battered children, created shelters to care for them and, working with similar groups and agencies in cities across the nation, instituted laws that punish abusive parents. Gone are the days when beasts of burden enjoyed more legal protection than children. In recent years, a broad spectrum of programs, diagnostic and reporting protocols, safe houses and legal protections have been developed to protect physically or sexually abused children. But every day, at least three children die in the United States as a result of parental mistreatment. Many more remain out of sight and in harm’s way. Mary Ellen’s story reminds us of a simple equation: How much our society values its children can be measured by how well they are treated and protected. Dr. Howard Markel, published in the New York Times, Dec. 4, 2009. CASA volunteers work on cases within the Seventh Judicial Court District and speak on behalf of children involved. "We are the eye's and ears of the judge, and the voice of the child." CASA Volunteer Saying. Abused or neglected children who find themselves suddenly entangled in legal disputes or referred to the child welfare system are often no more able to speak up for themselves or access available resources than to protect themselves from abuse in their own homes. The social workers and attorneys appointed to these cases struggle to keep pace with overwhelming caseloads and therefore can rarely give these kids the attention they need. For a child, the disorientation and loneliness that follows being thrust into the strange new world of the courts can be extreme, exacerbating already wounded emotions and heightening fears. Without a friend or ally, a child may succumb to feelings of abandonment and a deepening sense of isolation from the world around him. This is frequently where anti-social attitudes and behaviors first take rise and so the cycle of violence and crime is perpetuated from generation to generation. Court appointed special advocates or CASAs are a powerful voice in a child's life. Among their many duties, CASAs gather information about children and the cases in which they are involved, becoming intimately acquainted with the relevant facts and interviewing all of the parties concerned. They monitor compliance with court orders, maintain records, formulate objective recommendations and prepare written reports at the court’s request. But above all CASAs are there to help children survive—domestic violence, psychological abuse, sexual molestation and parental neglect—as friends and defenders who take their hands and walk them through the often protracted legal ordeals that follow. Practically a Sierra County native, Phyllis Mecca has prided herself in community involvement. 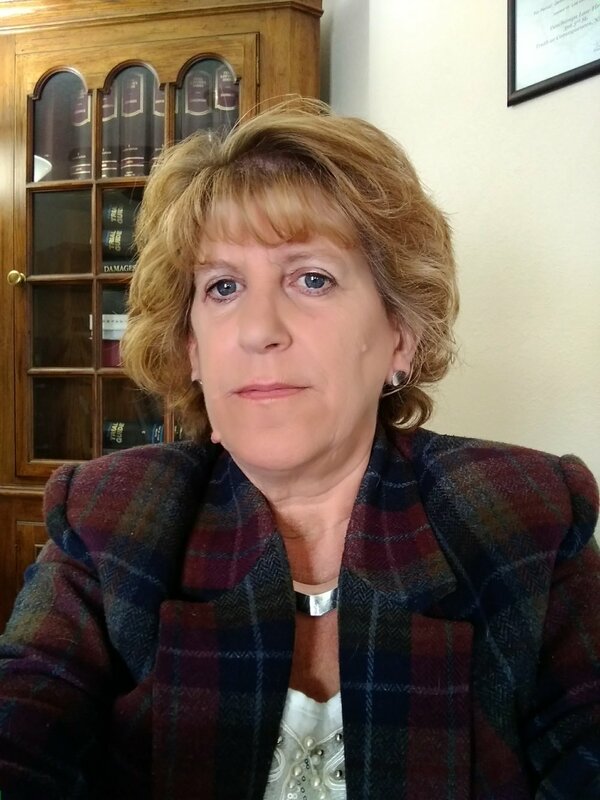 She has spent the past decade working as the Senior Caseworker for Children, Youth and Families Department, Coordinator of the Sierra County DWI Program after revitalizing the Misdemeanor Probation and Ankle Bracelet Program in Sierra County and has worked closely with the 7th Judicial Court system and local families. Phyllis and her husband are also foster parents. All of these accomplishments make her a great fit to the CASA Program. A Sierra County Native, Destiny Mitchell has prided herself in her involvement with the community, especially the youth, over the past 20 years. "Working with CASA is a wonderful experience, and I am looking froward to being able to make a difference in children's lives," Mitchell expounds. From coaching the local swim team, to her dedication to such boards as MainStreet Truth or Consequences and Fiesta Inc, Mitchell is always excited to get her hands dirty in another project. Mitchell explained, "CASA is an amazing program, and I hope to become an integral part of it over the next several years." Ember Budd has called Socorro New Mexico home for 24 years. Finding New Mexico in 1985, she fell in love with New Mexico and moved here in February 1986. After living in a few different locations, she and her husband settled in Socorro in 1994. She ran her own business for four years then went to work in Albuquerque at the Herb Store. In 2003 she became the coordinator of the Socorro Store House (an emergency food pantry in its infancy). After a year of working at the food pantry she left to join her brother in helping their mother after she had a hemorrhagic stroke in Scottsdale Arizona, She commuted back and forth from Socorro to Scottsdale until her mother’s passing in 2010. When she returned to Socorro she opened Ember’s Herb Shoppe, joining a massage therapist in the same location and together they worked for 5 years helping people with their health needs. 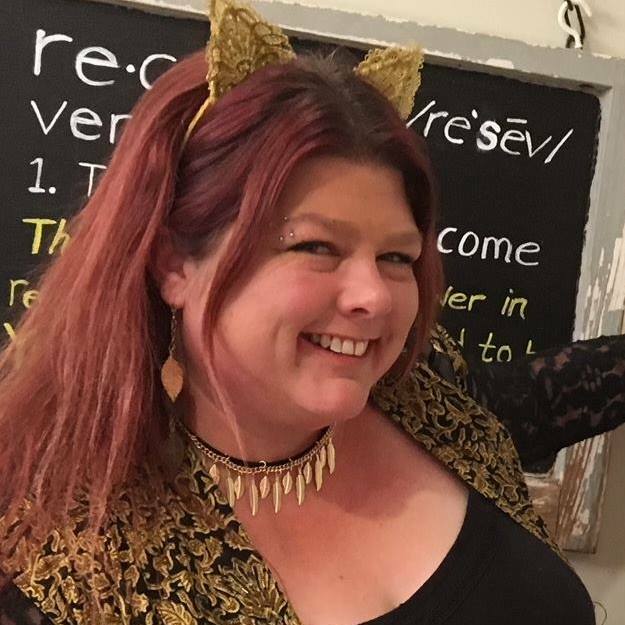 Ember has always lent a helping hand to those in need and is now in the special position of helping children in the foster care system, now holding the position of Rio Grande Valley CASA Coordinator for Socorro County and Northern Catron County.